I know that men are stereotyped as people who don’t read directions and I certainly don’t want to promote that idea but when we got our Jackson Galaxy cat toys I did not read the directions. In fact, I opened the first one without even reading the name on the package. If I had I would have saw it was a “Ground Prey Wand.” “Ground” being the key word. If I read the label I would have known what to do right away. But alas, I didn’t read it, so I started swinging it around in the air like a crazy person with only mixed results. I didn’t post the first video I took because I eventually read the package and realized I was supposed to drag it along the ground. Part of the video was a bit funny so I thought I would share it here. What do you think of Floki? 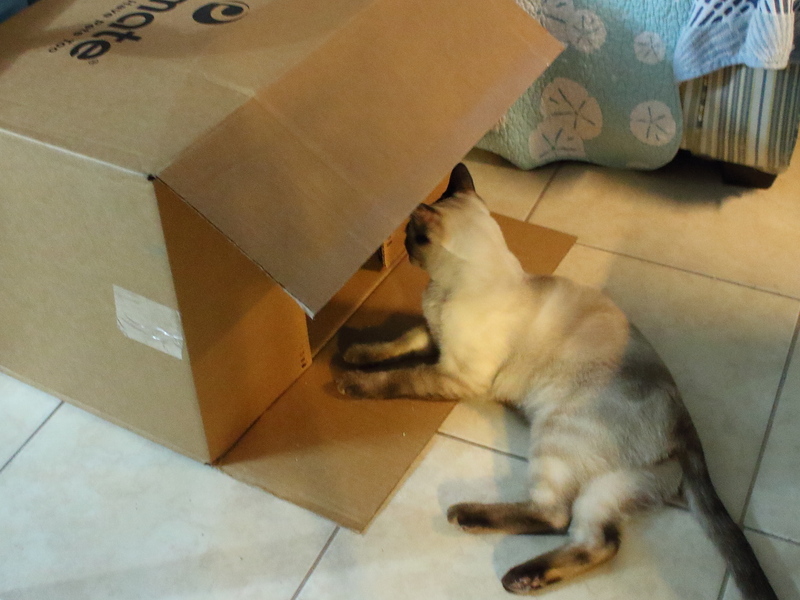 This entry was posted in Uncategorized and tagged cat, cat toy, funny, Ground Prey Wand, hypnotize, Jackson Galaxy on February 28, 2019 by Charles Huss. 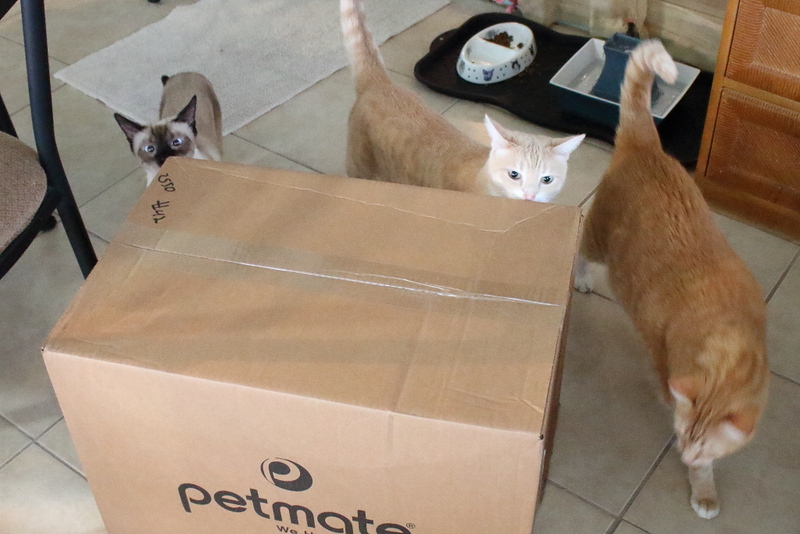 Last month we won a couple of Jackson Galaxy cat toys from Petmate and the Sweet Purrfections blog. They arrived recently to the delight of our boys. 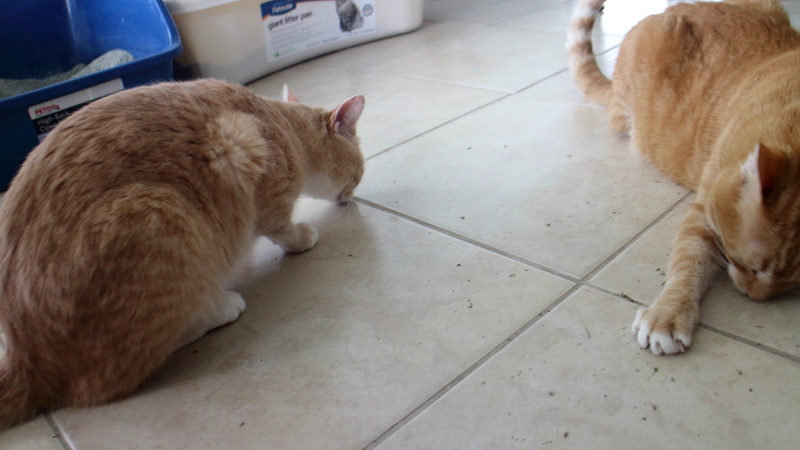 They seemed to like both toys, although the ground prey toy seemed to take a little longer to figure out. 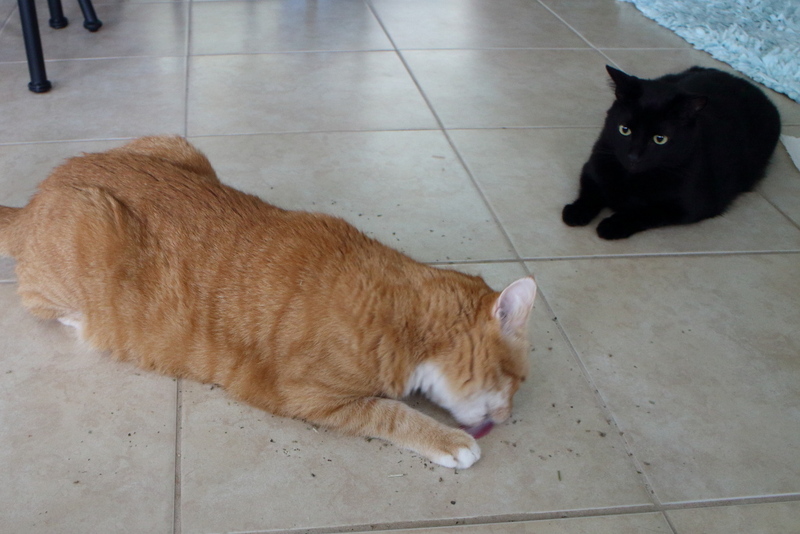 The air prey toy, on the other hand, seemed to pull at their instincts right away. Both toys did get their attention and I think it is good to have have a variety of toys so they don’t get bored with any one toy in particular. 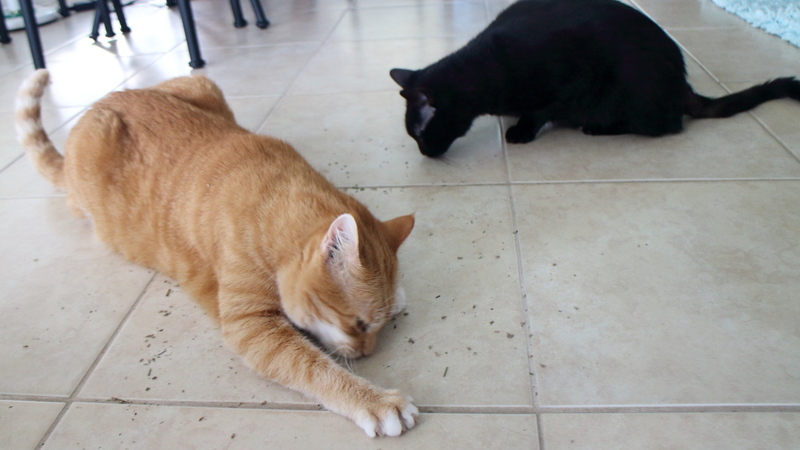 This entry was posted in Uncategorized and tagged Air Prey, cat toy, Ground Prey, Jackson Galaxy, Petmate on February 17, 2019 by Charles Huss. 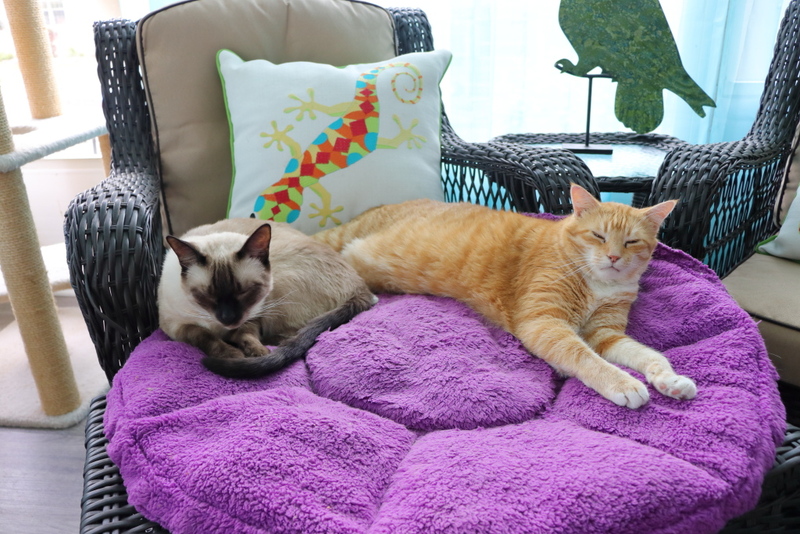 Last summer we won a Jackson Galaxy Comfy Clamshell Bed from The Island Cats blog (read about it here). 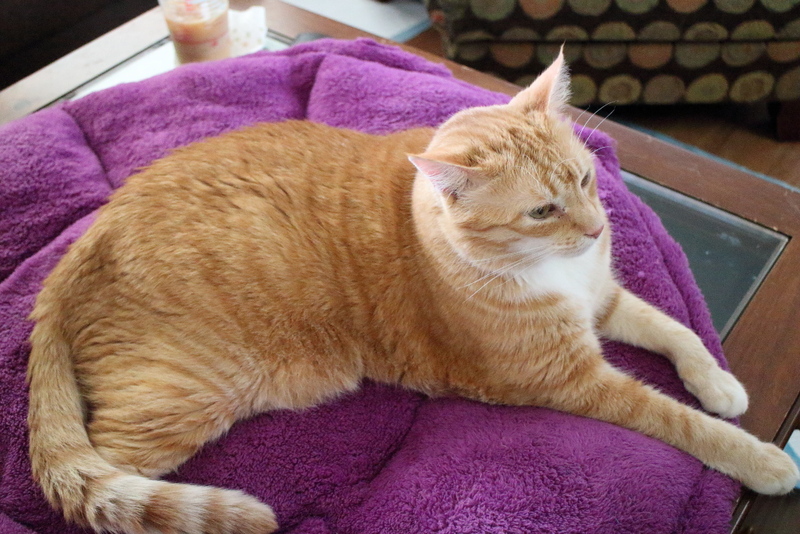 Chris and Floki both liked it and it was used until we got a heated cat bed from Art of Paws (read about that here). Chris and Floki both liked that bed too. Since it was summer I took the heating element out and put it on the coffee table and that eventually became Floki’s bed. 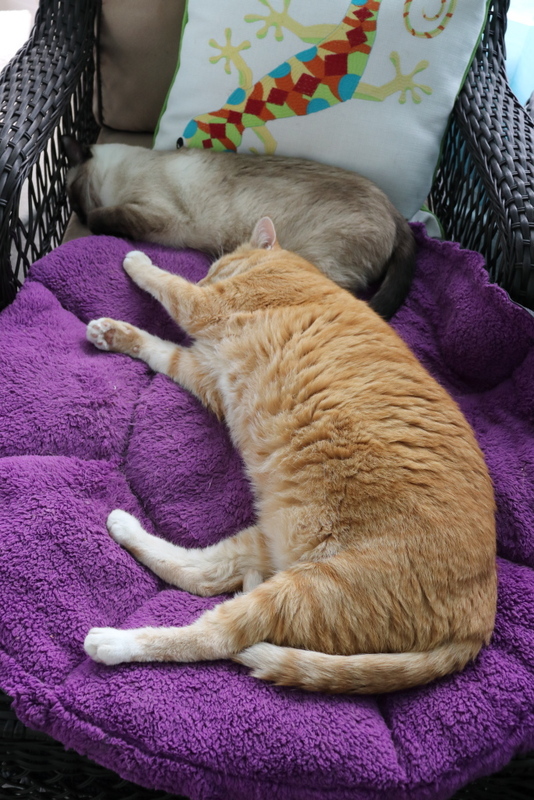 At one point the Jackson Galaxy bed must have been put away because I don’t remember seeing it at the old house for the last several months. Of course, I am not very observant either. 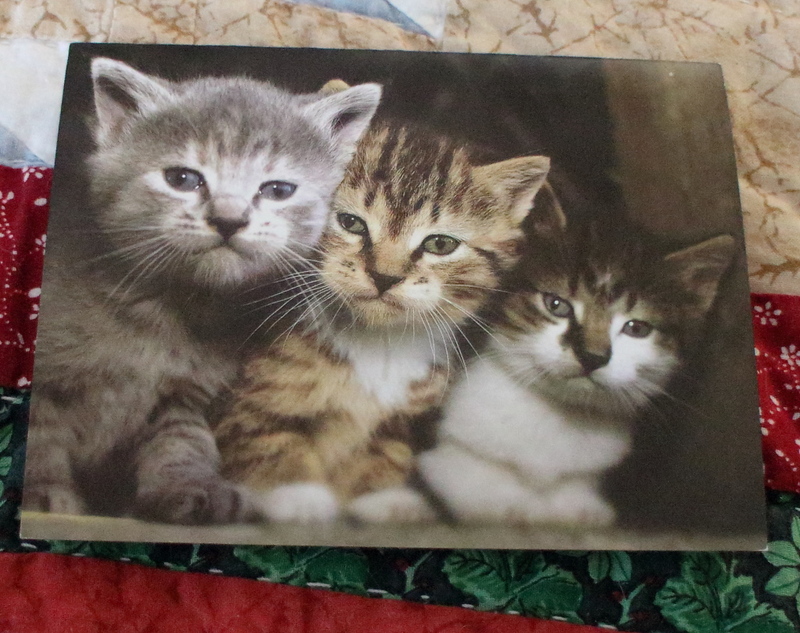 When we got to our new home, my wife found it and put it in the Florida room, which is now the cats’ room. 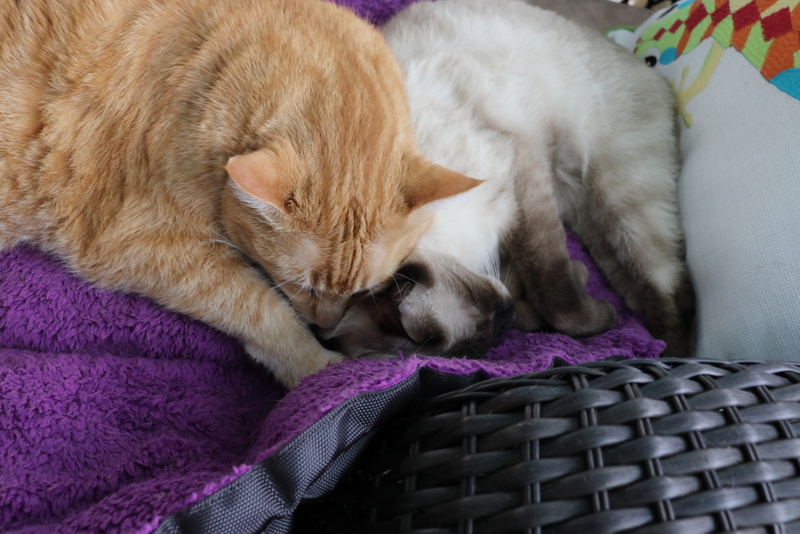 That is where Chris and Floki rediscovered it and are now spending a lot of time together sharing the bed. They do have other interests too. As I was writing this the bed was empty and Floki was on the Art of Paws bed while Chris was on the desk hanging out with me. 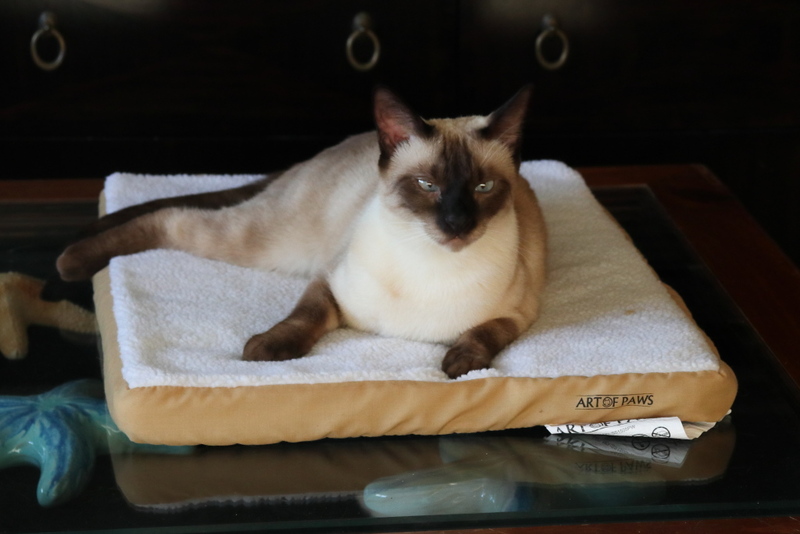 This entry was posted in Uncategorized and tagged Art of Paws, cat bed, Jackson Galaxy on September 5, 2018 by Charles Huss. To my surprise, we were lucky enough to win. 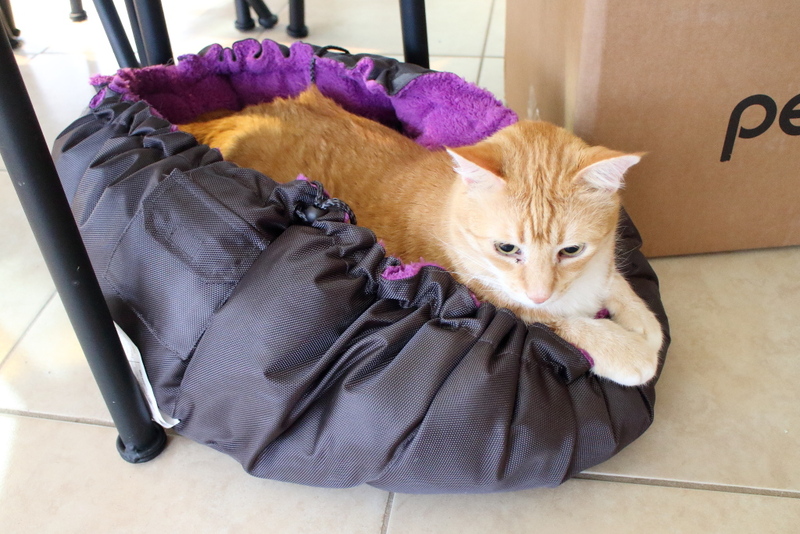 I got to choose between the “Comfy Clamshell Bed” and “The Vault Marinator,” which is used to freshen up catnip toys. I thought the clamshell bed would be a great addition to our house so I chose that. It was waiting at the door when I got home from work the other day The box was way bigger than expected, which was fine because . . . well, we have cats. 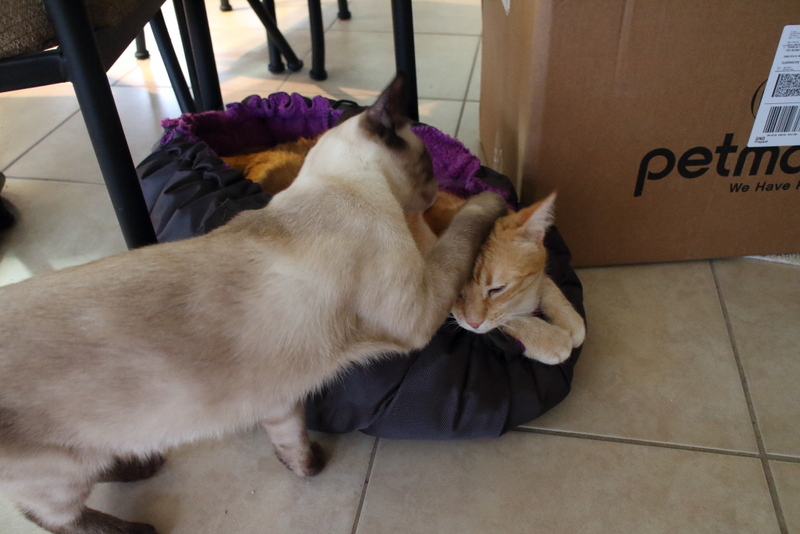 Once I opened the box and took out the clamshell bed, the cats were torn between investigating the bed and the empty box. The bed seems to be of a high quality and the fabric is very soft. Chris especially likes it, as you can see from the video. A pull of the strings easily turns it into a clamshell. The bad thing about that is there is only room for one. That means someone has to wait, whether they want to not. Floki and Chris were the most interested but Chris was the first to use it for what it was meant for, to lie in. Of course, he had to make some biscuits before doing that. Floki was more interested in the strings. I didn’t know this at the time but there is a pocket to put the strings to keep them from becoming toys, possibly dangerous toys. I ended up putting the bed in its open position on our coffee table. Frankie, Floki and Puck mostly ignore it but Chris loves it. I see him on it often. He is on it as I write this. 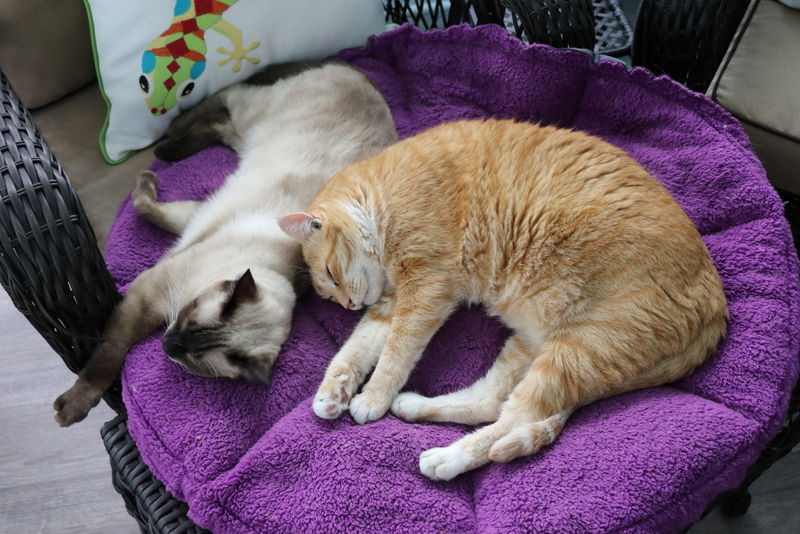 Meanwhile, in the cats’ room . . . 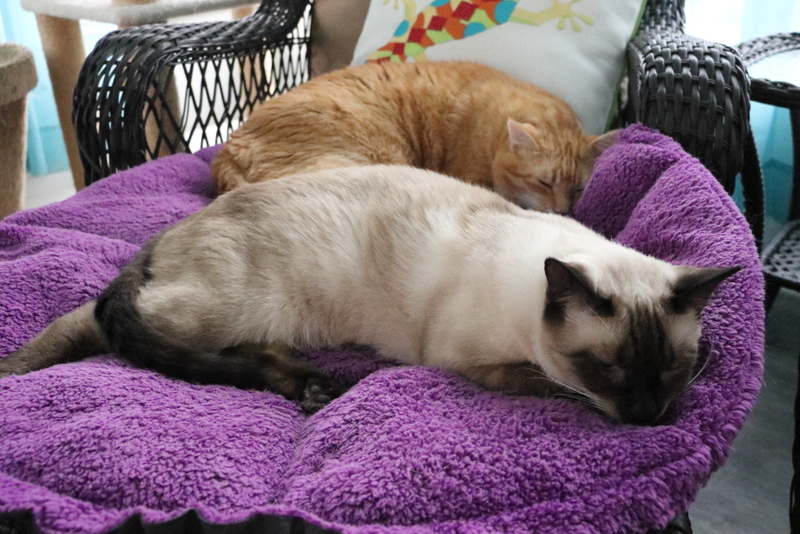 This entry was posted in Uncategorized and tagged Cats, clamshell bed, Jackson Galaxy, review on July 17, 2017 by Charles Huss. 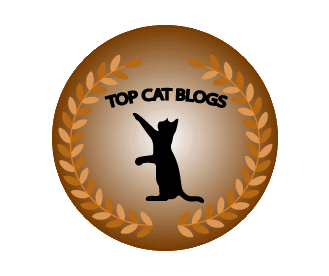 Recently we won the book Catify to Satisfy (by Jackson Galaxy and Kate Benjamin) from the blog The Cat on my Head. 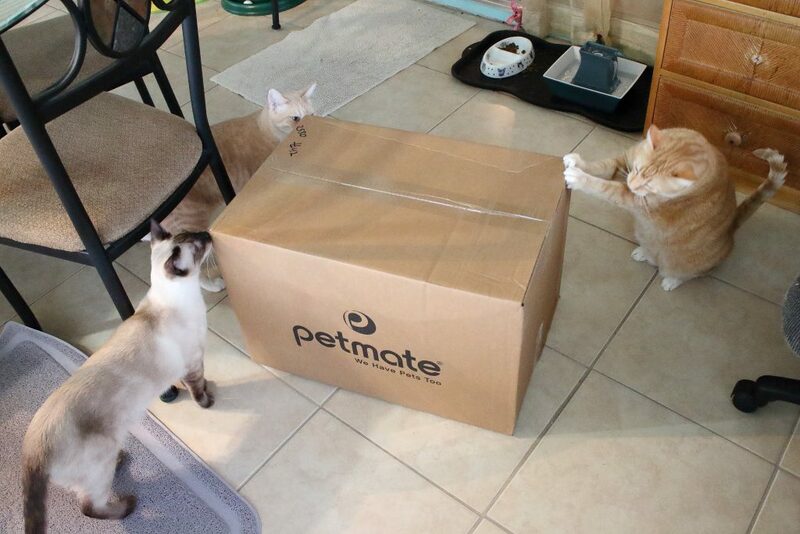 A package from Kitties Blue arrived the other day, sooner than expected. I have been too busy to read it but I did flip through it and it looks like there are some great ideas for cat furniture and such. I am not the carpenter type so I will have to report on what can be done by dummies. When are you going to make us something, Dad? 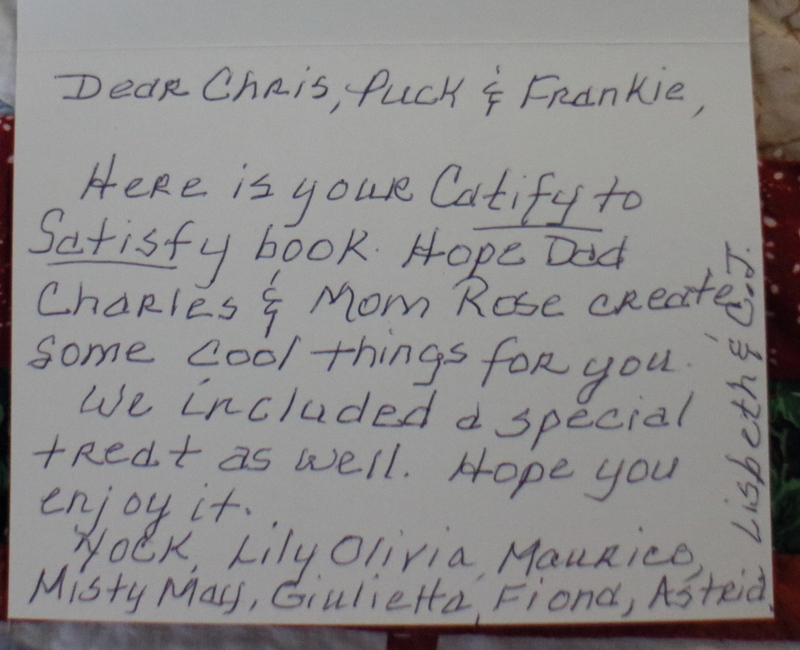 Along with the book was a nice card from the gang. 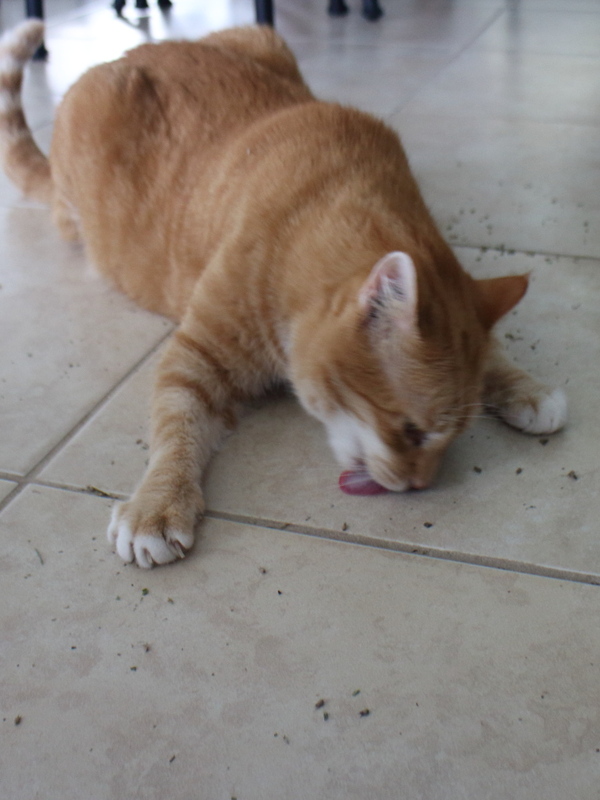 The best part, for the cats anyway, was the package of catnip that was included as a special gift. They really loved it. Thank you to Janet and all the kitties, Lily Olivia, Mauricio, Misty May, Giulietta, Fiona, Astrid, Lizabeth, and Calista Josette. This entry was posted in Uncategorized and tagged book, Catify to Satisfy, catnip, cute, funny, Jackson Galaxy, The Cat on My Head on December 7, 2015 by Charles Huss.